IridiumGroup collaborated with the 47-year-old Direct Marketing Educational Foundation as it worked toward launching a bold new name. 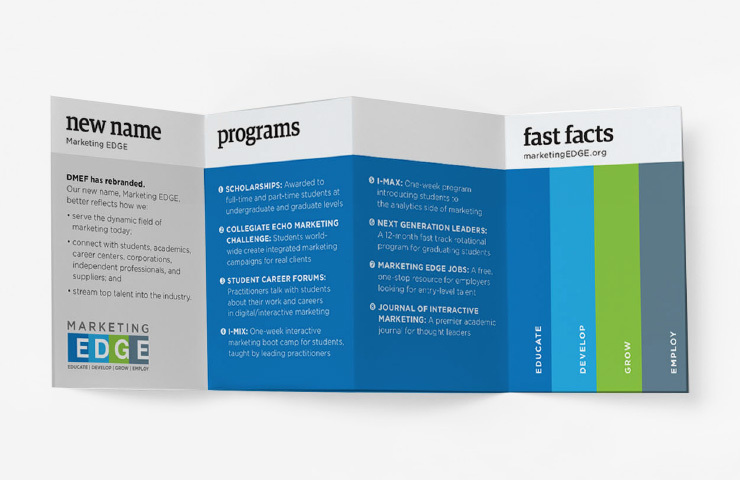 Along with its new name, Marketing EDGE, the organization developed a new brand identity, messaging, website, and a refreshed mission: to Educate, Develop, Grow, and Employ college students in the field of marketing. Our group identified audience segments and developed relevant key messages and positioning that resonated with corresponding constituents. We also applied the new brand to the organization’s signature annual event, the Rising Stars Dinner. 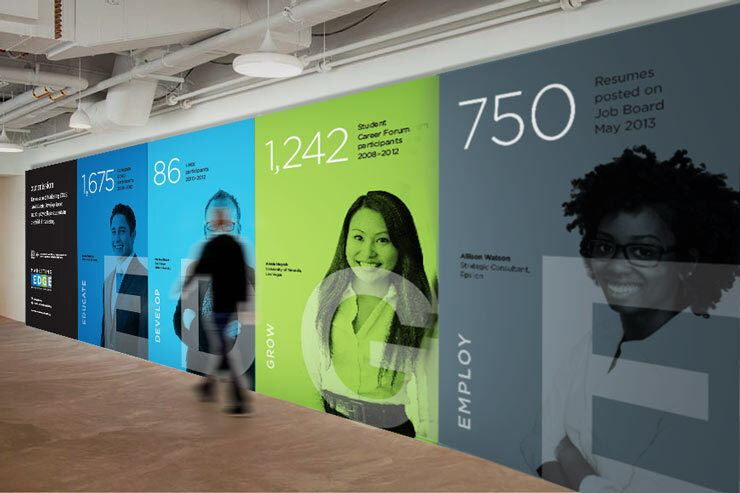 A coordinated effort from our strategy, creative, and production teams resulted in a large brand wall and system of event products that brought the new name to life. This theme was integrated throughout the event and in similar marketing initiatives through teasers, email campaigns, wallet cards, and a synchronized social media effort.